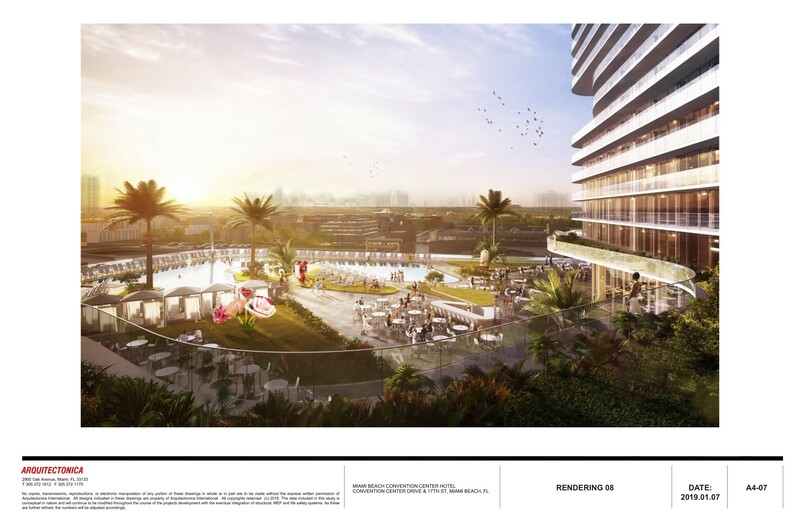 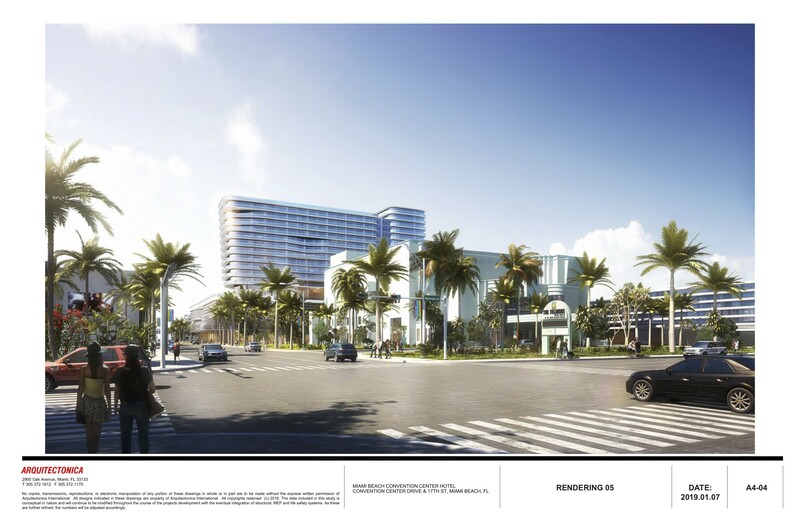 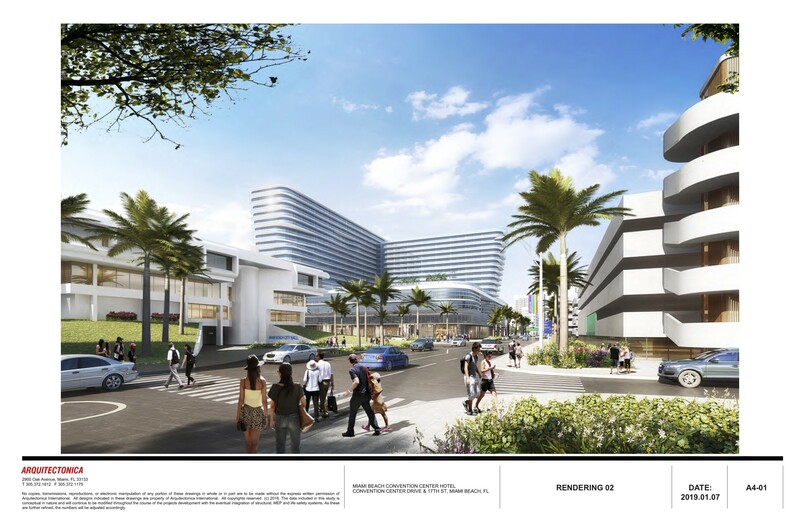 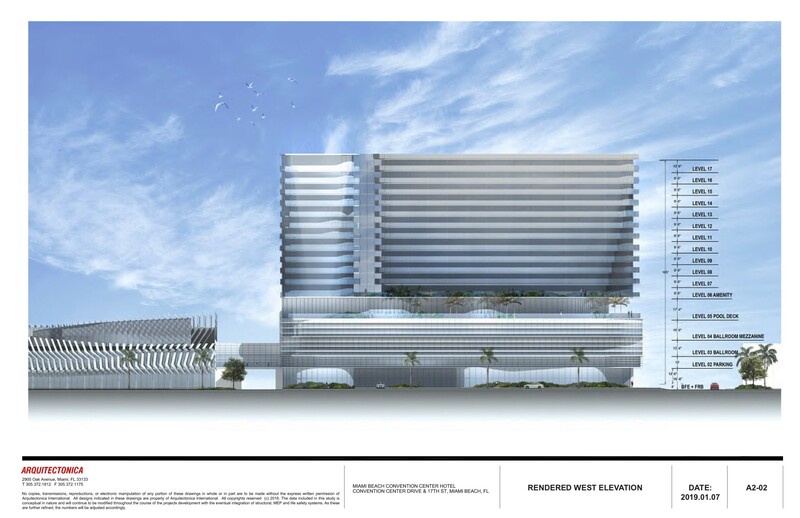 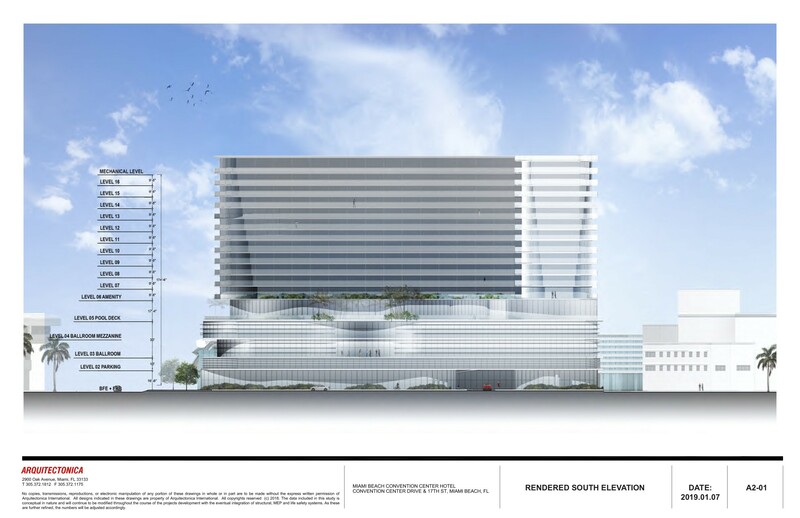 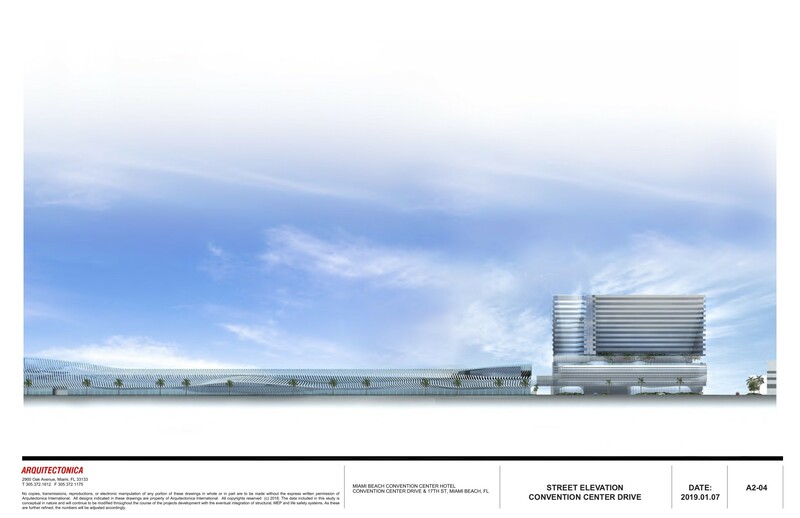 Plans have been filed with the Design Review Board (DRB) for the Miami Beach Convention Center hotel. 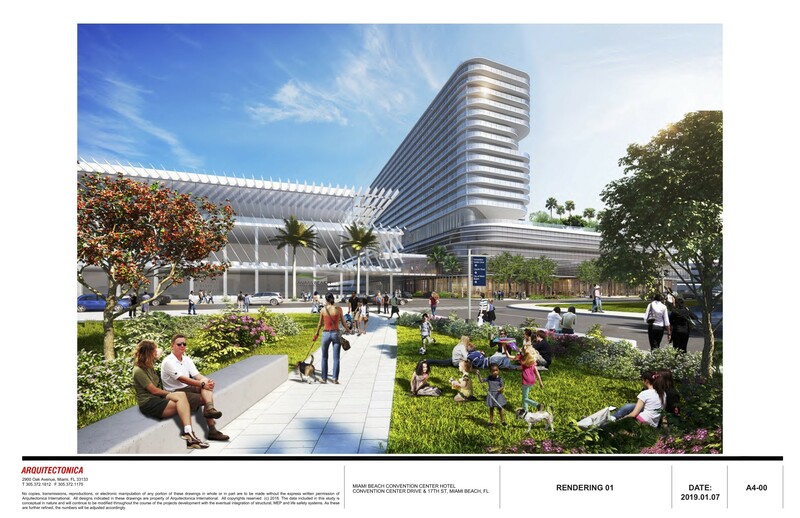 Approved by voters this past November, the City has set an ambitious completion date for Fall 2022. 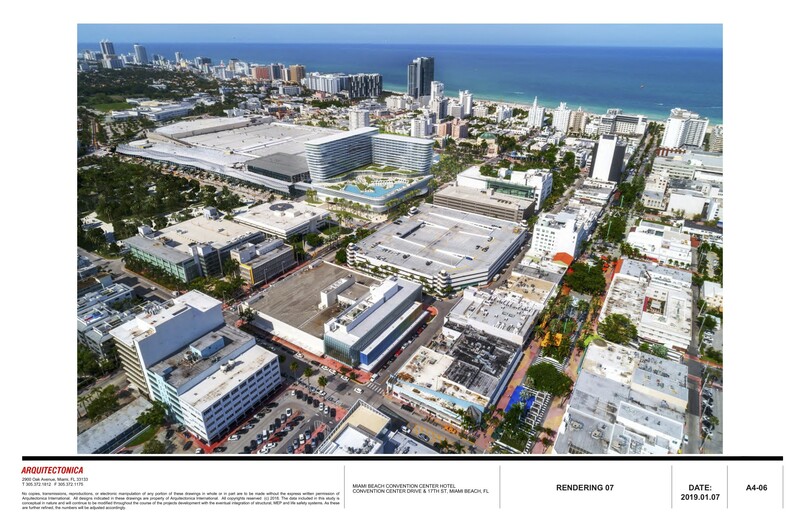 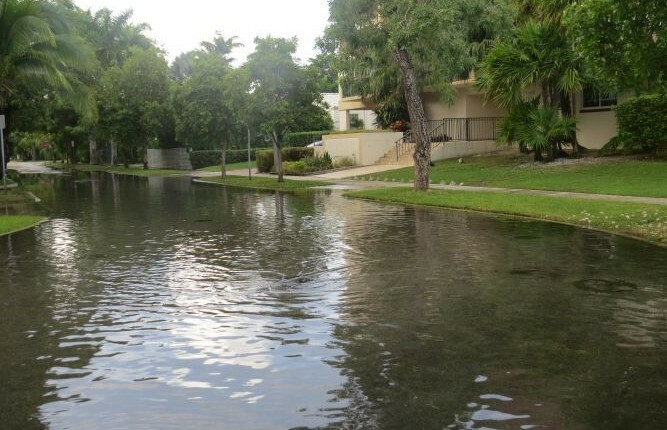 In order to help meet that goal, City Commissioners approved giving the developers early access to the site for demolition and other preparation work. 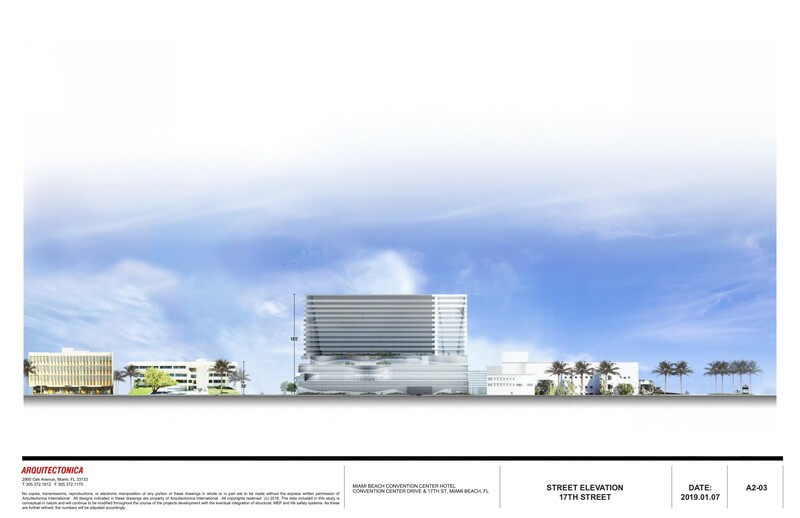 This week, final plans as submitted to the DRB became available. 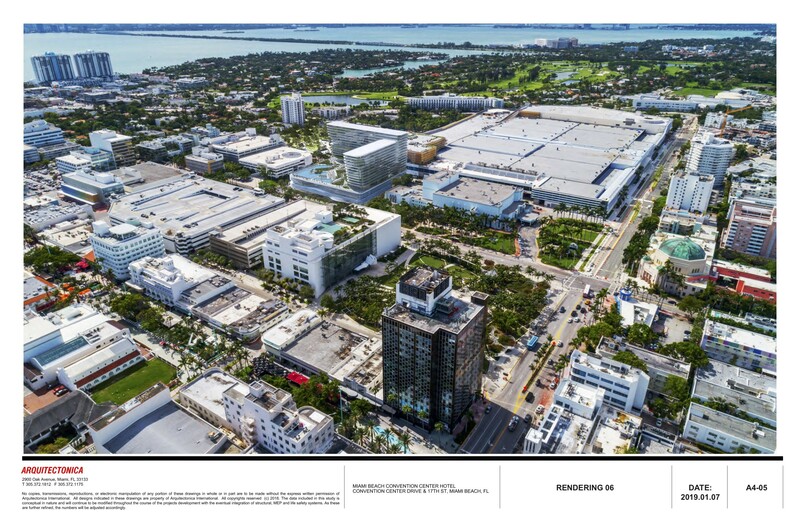 Because the City and developers David Martin and Jackie Soffer wanted voters to have a good understanding of the project, many of these renderings were already completed but for the DRB we get some more detail, particularly with regard to scale and context. 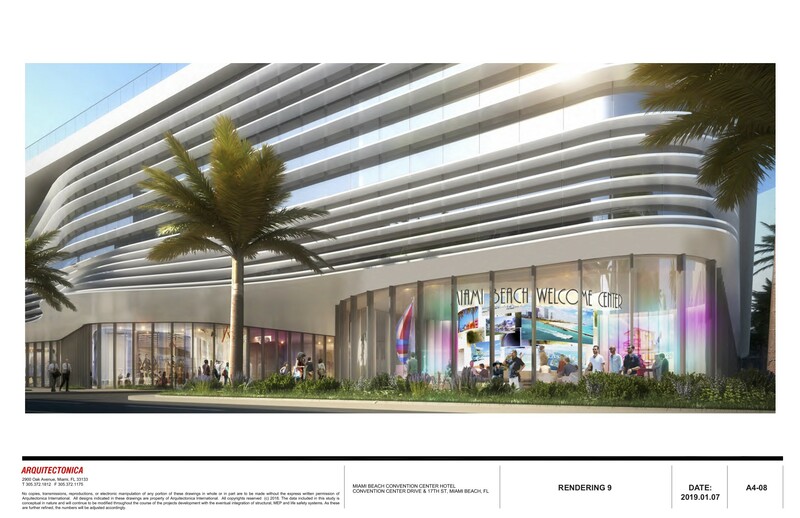 The proposed hotel is 185 feet in height and includes ground level retail, a parking deck, ballroom, meeting rooms, a pool deck, and restaurants.